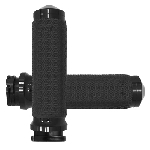 Memory Foam Grips are made of EVA foam, are soft to the touch, durable, resistant to chemicals and other substances, and possess vibration-dampening properties. 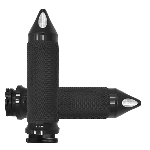 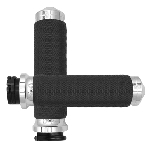 End caps and collars on all grips are made of billet aluminum and are handcrafted in the U.S. 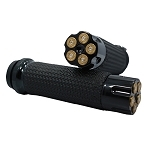 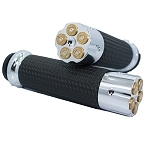 The Memory Foam Grips are available in three sizes: the outer diameter for size small is 1.375”, medium is 1.5”, and large is 1.625”. 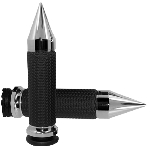 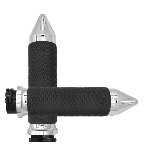 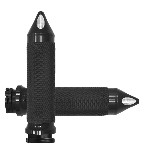 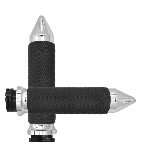 Styles are chrome or black anodized (with traditional end caps), and chrome or black anodized spike ends.